The Lord directed Mike into Christian camping as a result of a work related injury in 1986. God brought him to a place where he was able to use all his previous work experiences in service to Him. In 1987, Mike joined the staff at Fort Wilderness as Head Wrangler in their horsemanship program. Over eight years, his responsibilities broadened to include leading worship and planning programs. The Lord also gave him a partner in ministry – he met and married his wife, Becky. In 1995, the Lord led them to another ministry in central Wisconsin, Forest Springs. Here his responsibilities expanded to include overseeing food service, stores, first aid, adventure ministries, and outdoor education. Over time, he also became responsible for overseeing the summer counselors and hiring seasonal staff. The vision for Harvest Home Farm was developed out of these years of ministry experience and a desire to serve and encourage families through a farm environment with the ministry of the Gospel. 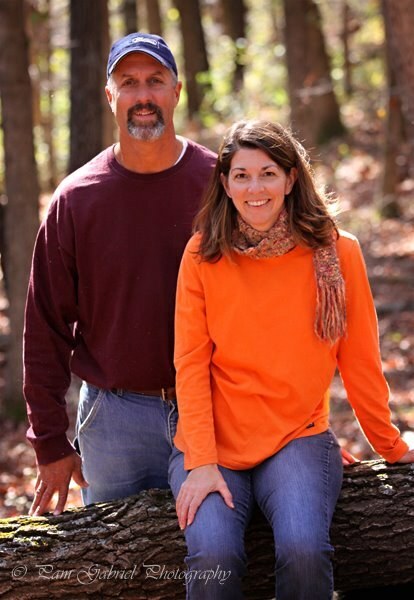 Mike and Becky have been married for 25 years and have four children.